You must see this very clean 2015 LEXUS IS250 AWD with Premium package. Carproof Vehicle History report without incident. 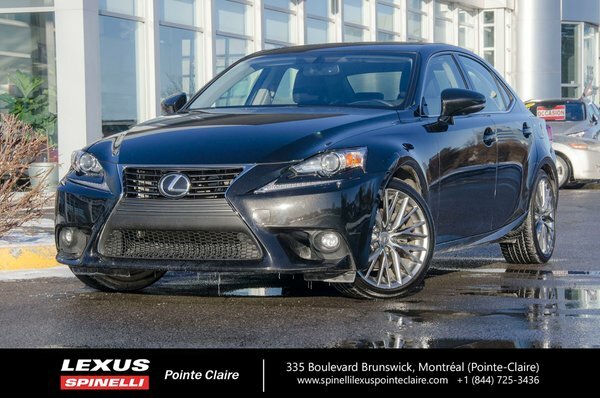 This car was taken in on trade from one of Spinelli Lexus Pointe-Claire's many loyal customers. Well equipped with heated and ventilated front seats, power sunroof, heated steering wheel, backup camera, and much more. Balance of Lexus warranty ending on September 25, 2020 or 110 000 kms. Inspected by our Lexus Certfied service department.